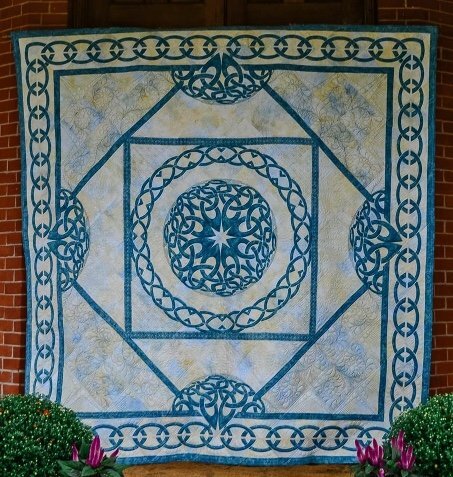 HoopSisters 2018 Block of the Month because it only takes two colors of fabrics and two colors of thread making is easy for students to select their own fabric and thread without too much thinking. Just find two colors you love and go with it! Embroidery machines are optional! You are welcome to come to each HoopSister Block of the Month class to learn the monthly techniques and pick up your embroidery designs. Bring embroidery machines if possible to be personally walked through the exclusive HoopSister block techniques and than continue the embroidery journey at home. If you are unable to bring your embroidery machine to each class you can choose to just come, learn and watch others embroider without hauling your embroidery machine. Your choice.